Brand New Blue Lagoon. An oasis just 2 min walk from the beach. 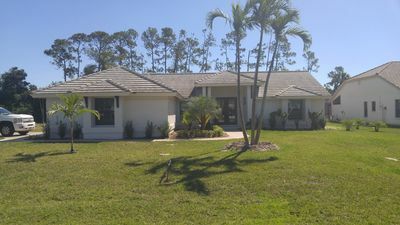 Whether your plans call for an extended winter season vacation or a week's tropical getaway, this lovely pool home has it all. 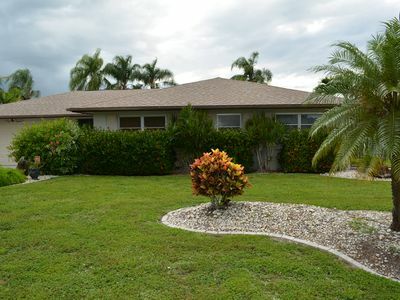 Situated just one block off Estero Blvd, in a quiet residential neighborhood, this home provides a private, tranquil setting just around the corner from the beach. The main attraction of this home is the backyard. 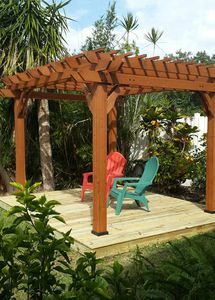 Designed by a local expert, it features tropical foliage surrounding the property. 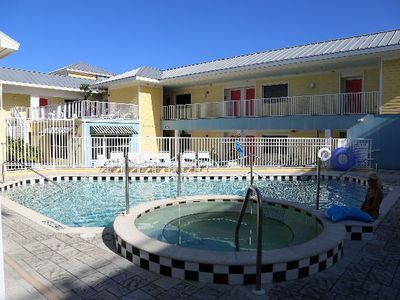 You ll spend endless hours here soaking up the sun, swimming in your private in-ground heated pool. The lush and peaceful setting will make you feel as though you have escaped the hustle and bustle of everyday life. 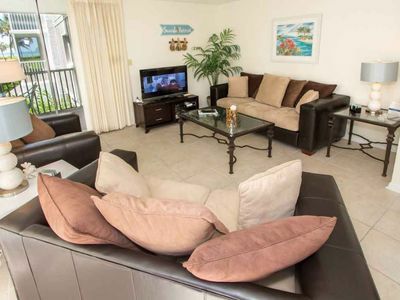 You'll love the relaxed feeling this property emits. 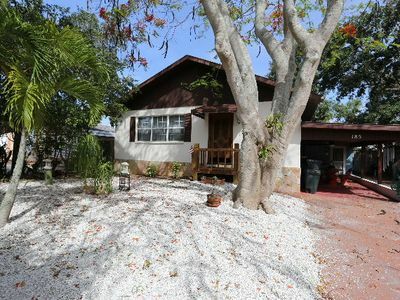 Located 161 Washington Street, this well-appointed home has 3 bedrooms and 2 baths & will sleep a maximum of 8 people. The main home on the upper level features a screened in dining area for six overlooking the peaceful residential neighborhood. The kitchen is bright and open and enhances the dining area with seating for up to 3 more. Listen to your favorite tunes with the bluetooth speaker while you dine, then move into the living room to relax on the sofas, curl up with an enjoyable book, watch your favorite TV show on a 65" HD Smart TV with Xfinity high speed streaming. 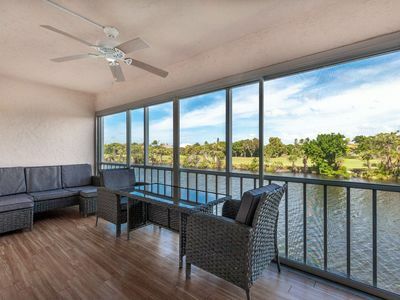 You can also open the sliding doors to watch the amazing SW Florida sunsets from the screened in porch. The full kitchen/breakfast bar with seating for 3 comes with everything you'll need for preparing your perfect meals. The bedrooms are located down the hall from the main living area. Rest comfortable on the brand-new memory foam King size bed in the master bedroom. Catch a late-night movie on your in-room 50" HD Smart TV after a relaxing shower in the private elegant en-suite master bathroom with walk-in shower. The second bedroom has a queen-size bed, also with a brand-new memory foam bed. 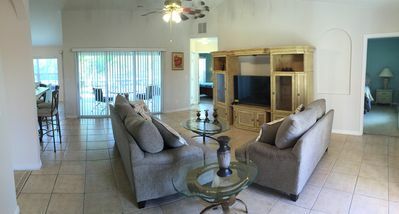 The third bedroom has two twin beds both rooms have dressers and 45" HD Smart TV's with streaming service. There is a newly purchased pack'n play for those who might be traveling with little ones, plus booster chair. The two guest bedrooms share a full bathroom with a tub. Both bathrooms have hair dryers and starter shampoo, conditioner and lotion. 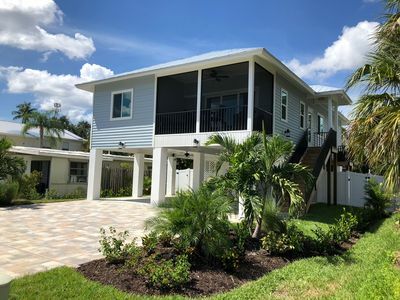 For your convenience, this home is outfitted with free, wireless, high-speed internet service and free long-distance dialing within North America from the home phone. 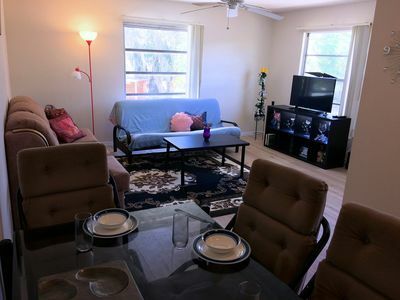 The washer & dryer are located on the main floor (with starter detergent) and for those of you with allergies, you can rest assured this home is smoke free. The pool area is just lovely and inviting. Soak up the sun in your favorite lounger or dine in the outdoor table for six with additional seating area for another six. Grill your favorite meal in the 6 burner propane grill. The warm and inviting salt water pool is beckoning you! 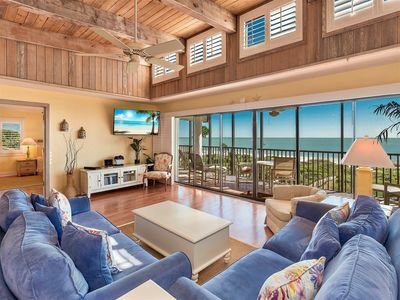 Of course, you've come to Fort Myers Beach to enjoy the beach, there are two public access beaches just a 2-minute walk from the house. Here you ll find 7 miles of white sugar sand beach to walk out and enjoy. 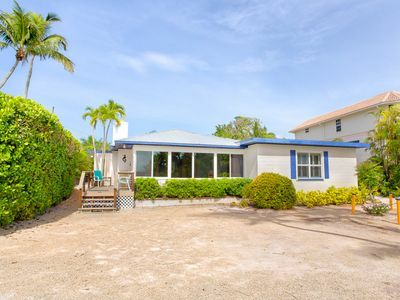 This vacation property is perfectly located mid-island. The Publix grocery store is less than 1 mile away with the new Snook Brite Marina right behind it. Here, or at the Fishtale Marina in the Villa Santini shopping center, you can get fresh fishing bait, rent a boat for the day, or enjoy a delicious meal in their waterfront restaurants. 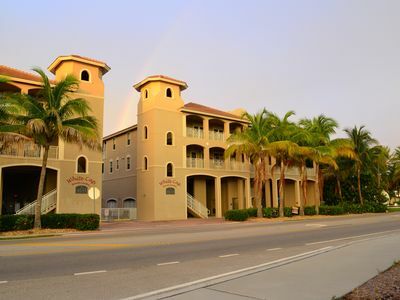 Other wonderful restaurants, shopping, and the beach movie theatre are also just a short walk away as well. Trolley stops going both North and South bound are just a 1-minute walk from the house on Estero Blvd for just $.75 a ride or purchase an all-day pass for $2. Enjoy Blue Lagoon, your own personal oasis! 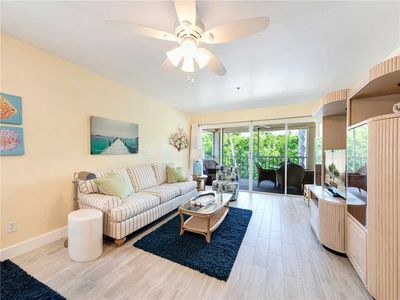 Large balcony with wonderful views of the beautiful ocean just steps away! Welcome to the Harbor House 315. This third floor, one bedroom, one full bath condo is located in the heart of Times Square. 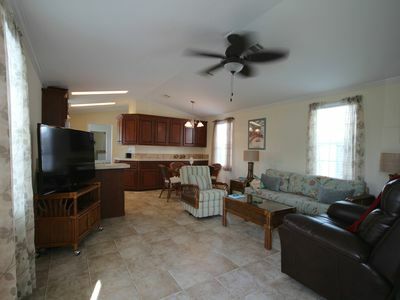 Family Friendly- Captiva Pool Home- Gulf Front- Lasting Memories Made Here ! 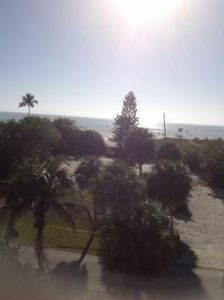 Luxury Newly Renovated 2 Bedroom Sanibel Condo On Beach, Panoramic Ocean Views! 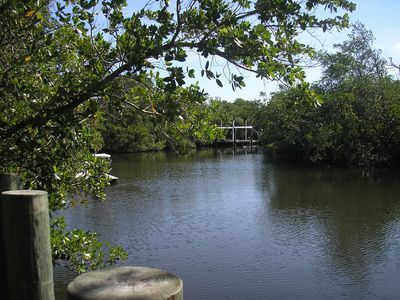 New Listing on Sanibel River! 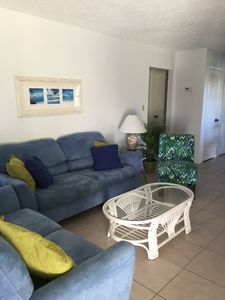 Great Location: Beach is a 4 Min Stroll Away! 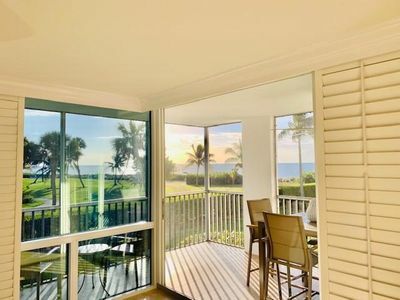 Enjoy Golf Course Views!